Omg guys you won't believe what I just found in my HeartGold game. 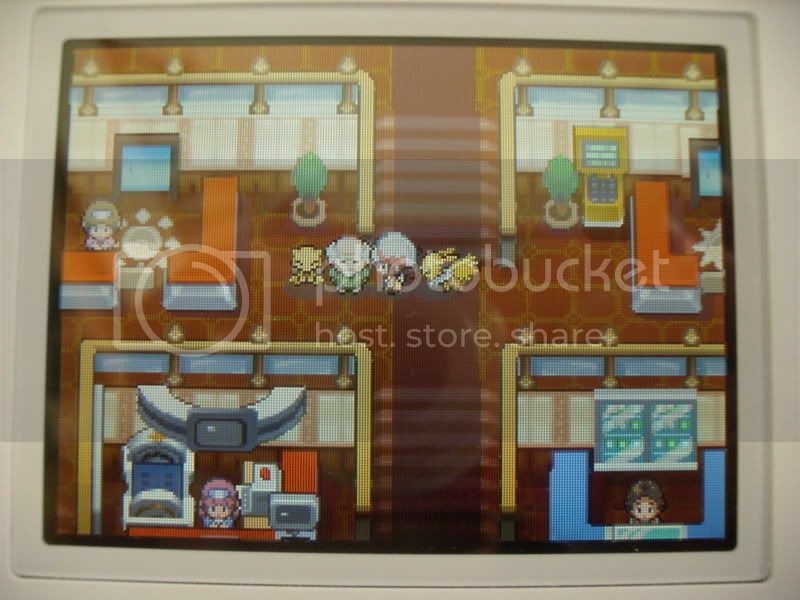 I know you've probably all heard that she doesn't appear in HGSS but it's not true because I FOUND HER. She's just hidden is all. PICS OR IT DIDN'T HAPPEN, RIGHT?? Well I have pics. Yes that old man there is Leaf. She's in disguise. HOW DO I FIGURE THIS? Because of this!! ...Yes I know that's Blue, not Leaf, but Blue was based off of Leaf who was then based off of Blue who was then based again off of Leaf. Who was now clearly based off of Blue again. THAT IS NOT THE ICON I CHOSE LJ WTF. 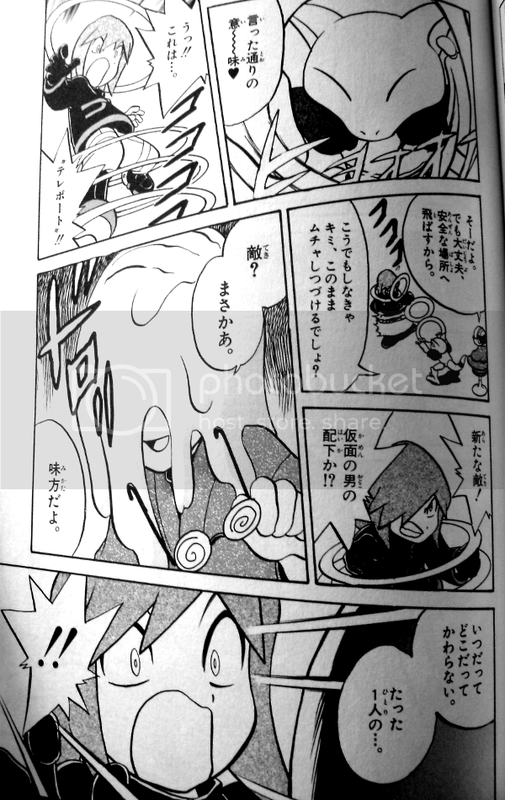 can someone translate the comic? I can't be bothered to, but Chuang Yi actually did a pretty good job at translating this scene. I'm shocked. Ahaha, you know, I never really cared one way or another for ANY of the Eeveelutions (until DP - I find Lefeon to be gorgeous I love her), but I bred this one and raised her, and... now I just adore my Jolteon. :< I ended up choosing her in favor of my Electrode as my token Electric-type - and Electrode is one of my favorites! omg i read that part in the manga but i never would have remembered that in the game!! that's awesome!! *Too distracted by Silver* What? Leaf? Who? Yes, well, Silver can be quite distracting.